In the 19th and early 20th century Dorset’s county town was intertwined with the life of Thomas Hardy, one of England’s greatest writers. His two houses are both looked after by the National Trust, while the town itself is fictionalised in his work as Casterbridge. 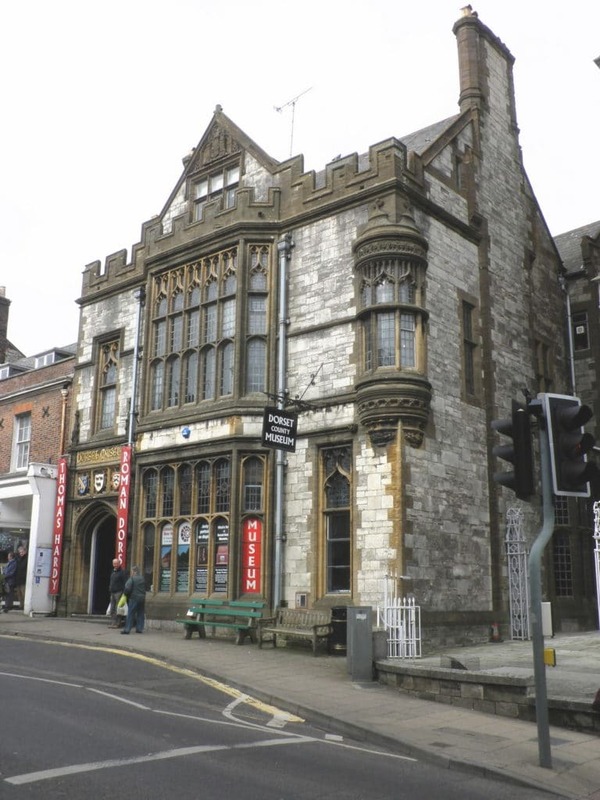 The Dorset County Museum has lots of Hardy memorabilia, and it seems like every other building has some connection to the man. 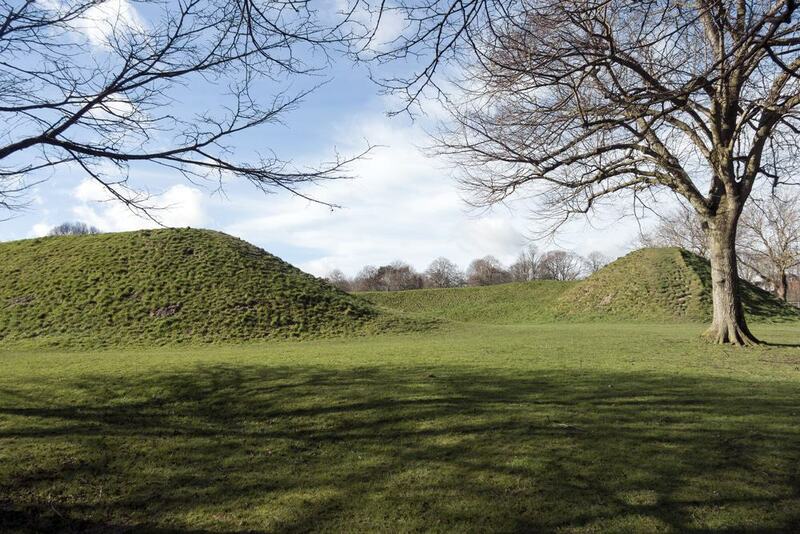 In Roman Times Dorchester went by Durnovaria, and there are traces of this ancient town at Maumbury Rings, a former amphitheatre, as well as a rare excavated town house. Added to Dorchester’s cultural riches, you’re right on the cusp of the Dorset Area of Outstanding Natural Beauty. Taking up much of the county’s blissful rural landscape, the AONB also includes most of Dorset’s coastline, which is a UNESCO World Heritage Site for its Jurassic geology. 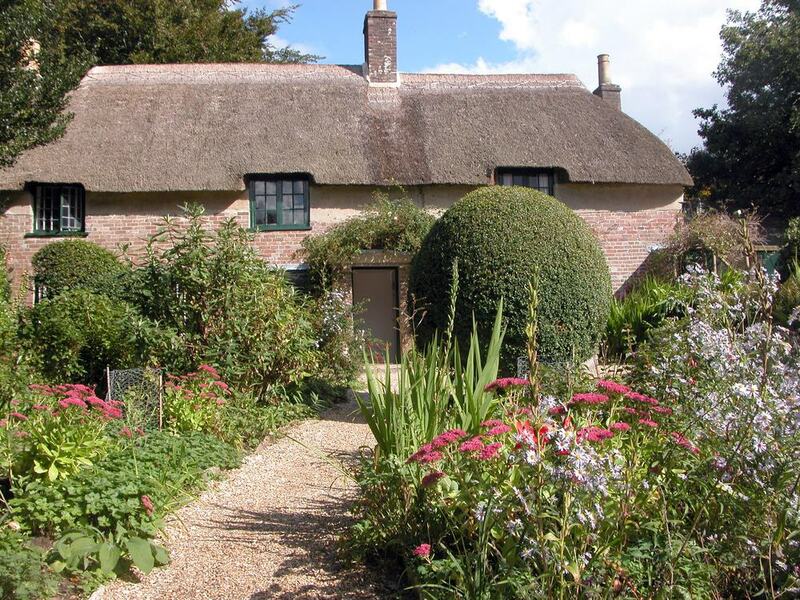 This quaint cottage was the home of Thomas Hardy from his birth in 1840 until he turned 34 and married Emma Gifford. During this time Hardy wrote Far from the Madding Crowd (1874) and Under the Greenwood Tree (1872). This delightful cob and thatch building was constructed by Hardy’s great-grandfather in 1800 and is in the care of the National Trust. There’s a pretty cottage garden growing medicinal herbs, while the interior has carefully curated furniture from the mid-19th century. You can visit the room in which he was born, as well as the place where he wrote some of his most acclaimed works. A new visitor centre opened close by on the fringe of a nature reserve in 2014, with exhibitions taking a closer look at Hardy’s life and his deep relationship with the local countryside. Hardy was one of the founders of the Dorset County Museum, which moved into this stunning purpose-built Neo-Gothic hall in 1881. 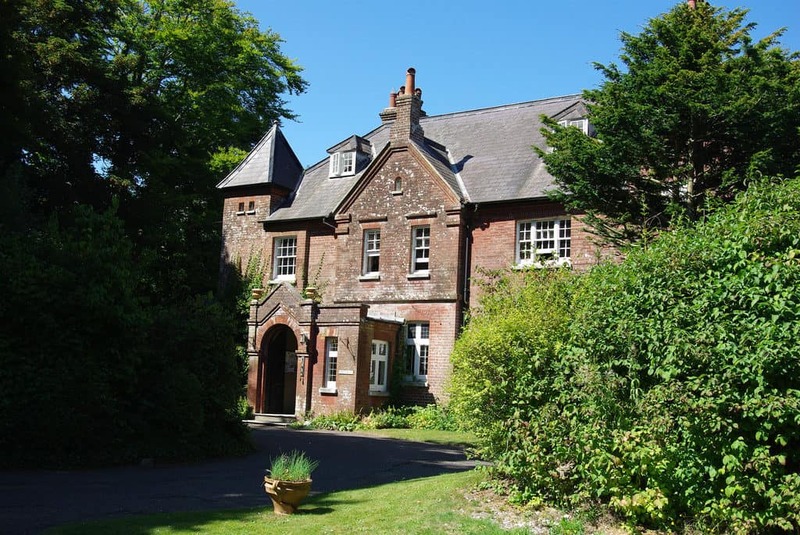 The museum holds the Thomas Hardy archive, which has pieces like the handwritten manuscript for The Woodlanders and an 1874 first edition of Far from the Madding Crowd. There’s also a dress that belonged to Hardy’s sister and is thought to have inspired the dress in Tess of the d’Urbervilles. The museum also documents Dorset’s prehistory and Roman past, with Neolithic axes, a Roman glass bowl and a bronze mirror from the Iron Age in the Ancient Dorset Gallery. Also compelling is the collection from the Jurassic Coast, including fossilised trees, dinosaur footprints and the massive fossilised jaw of a pliosaur discovered in Weymouth Bay. 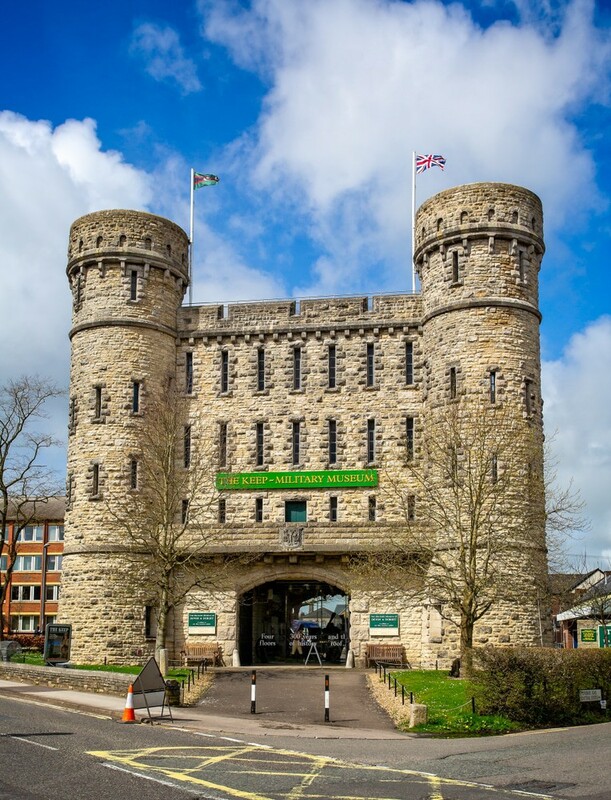 Not as old as it looks, the Keep belongs to the Dorchester Depot Barracks, built in a Tudor Revival style between 1877 and 1881. 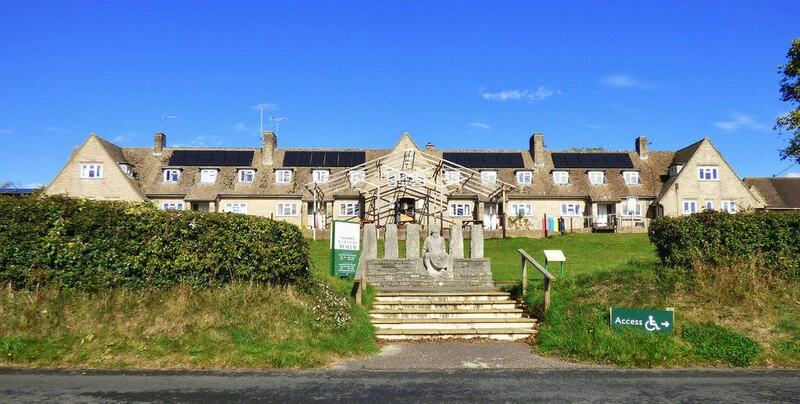 Although most of the barracks has since been redeveloped this building stayed in Ministry of Defence’s hands after the Dorset Regiment merged with the Devonshire Regiment and moved out in 1958. It now holds the military museum for three British Army regiments (Dorset, Devonshire and the regiment formed when they combined), as well as yeomanry regiments and the older Dorset Militia. The ground floor of the keep is unchanged, with an ammunition powder room, guardroom and cells, as well as an original winding gear to lift equipment to the upper floors. Among the medals, weapons, uniforms, silverware and regalia, there are details about the Dorset and Devonshire Regiment’s recent deployments. One curiosity to hunt down is a desk removed from Adolf Hitler’s Chancellory in 1945. On the east side of the town, Thomas Hardy (also a trained architect) designed and built this large house in 1885 and resided here until he passed away in 1928. At Max Gate Hardy wrote his best known later works like Tess of the D’Urbervilles (1891), Jude the Obscure (1894) and The Mayor of Casterbridge (1886), as well as most of his poetry. The house was donated to the National Trust by Hardy’s sister on the proviso that it be lived in, and Max Gate has been occupied ever since. The rooms have been designed as they might have been when Hardy was here, while outside the Nut Walk, vegetable garden and croquet lawn were all Hardy’s work. There’s also a touching pet cemetery, complete with gravestones and epitaphs for Thomas and Emma’s beloved cats and dogs, some carved by Hardy himself. An enthralling English Heritage site less than two miles from Dorchester town centre, Maiden Castle has more than 4,000 years of human history. What you see now is an Iron Age Hill Fort, the size of more than 50 football pitches and ringed with layers of ramparts. The site began as a Neolithic causeway before going through a huge transformation around 450 BC, when it was given its earthwork defences. When they were constructed, what are now grassy ridges would have been formidable white chalk walls. You have to be here to conceive the true proportions of the place, and there’s also a dark history to it. Archaeologists have uncovered a late Iron Age graveyard with the remains people who died from violent injuries, including one with a Roman catapult bolt in his back. This raises the likelihood of a siege taking place at Maiden Castle during the Roman conquest of Britain. 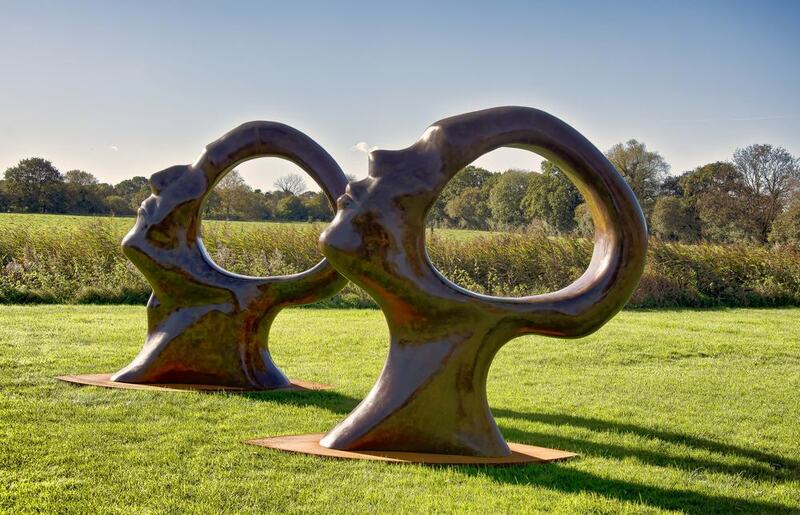 The sculptor Simon Gudgeon and his wife Monique, a landscape architect, have collaborated on a magical sculpture garden in 26 idyllic acres of countryside just outside Dorchester. Outside are more than 30 of Simon’s sculptures embedded in contemporary gardens with inspiration taken from all over the globe. There are lakes, ponds, pergolas and patios, and every now and again you’ll be surprised by another striking bronze or stainless steel sculpture. Smaller works can be seen at Studio I and the Gallery Cafe, which sources some of its ingredients from its own kitchen gardens. Take a look at the calendar before coming, as there are always talks and workshops on anything from yoga and meditation to painting, sculpture, pottery, cooking and gardening. 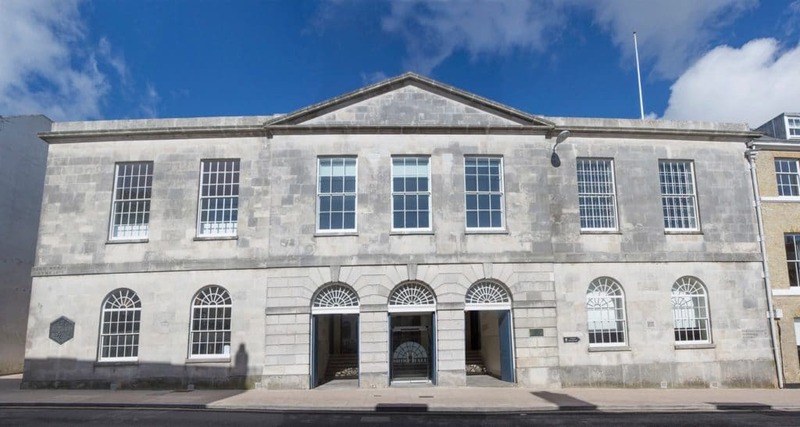 Built from white Portland stone, Shire Hall (1797) is Dorchester’s solemn Neoclassical former courthouse. This Grade I-listed building has some serious history. For instance, Thomas Hardy was a magistrate here for decades, and the infamous trial of the Tolpuddle Martyrs took place at Shire Hall in 1834. More on that later. In 2018 Shire Hall opened as a museum following a four year conversion project. As a reminder of justice in former times, the cells and courtroom and dock have all been kept in place, and you’ll hear about the adults and children who stood trial here. Kids can get involved, becoming a journalist at a mock trial, dressing up in judges’ robes and wigs and solving all sorts of puzzles. There are short-term exhibitions dealing with aspects of Dorset’s history and the broader topic of justice across borders and time periods. 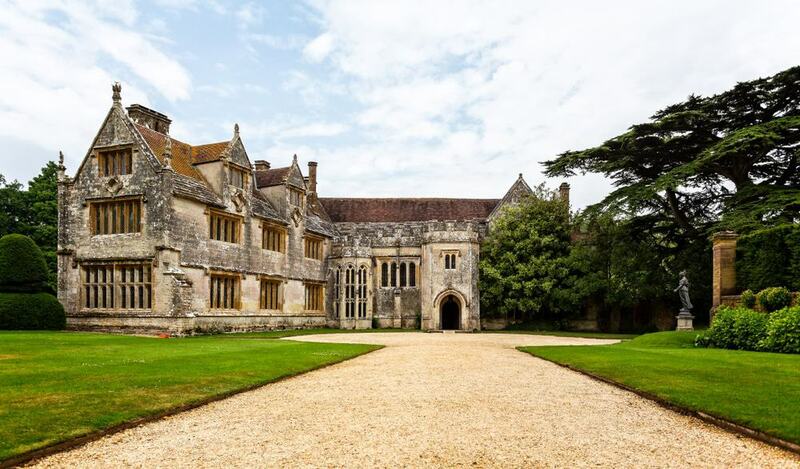 An indispensable day out, Athelhampton House and Gardens is a sublime 15th-century manor house wreathed in one of England’s finest gardens. That house, with gables, mullioned windows and embattled entrance was constructed in 1485. Head in for the sublime panelled Great Hall and Great Chamber, rich with historic furnishings. Something special awaits in the west wing, which has a gallery with paintings by the Russian Cubist and Pointilist Marevna (Marie Vorobieff). The gardens (1891) are equally spellbinding, recognised worldwide for their outlandish topiary pyramids and endowed with collections of tulips, magnolia, roses, lilies and clematis. The dovecote in the grounds dates from the 1400s, and there’s a picturesque boardwalk along the River Piddle. After the Eldridge Pope Brewery (1922) closed in 2003 Dorchester has set about regenerating this magnificent industrial brick complex and its surroundings as a residential and leisure district all centred on a plaza. What will grab you about Brewery Square is the sense of scale created by the brewery and its neighbouring structures. You can sit and take in the scene next to the fountain and of course catch a movie at the slick new Odeon cinema that has opened opposite. 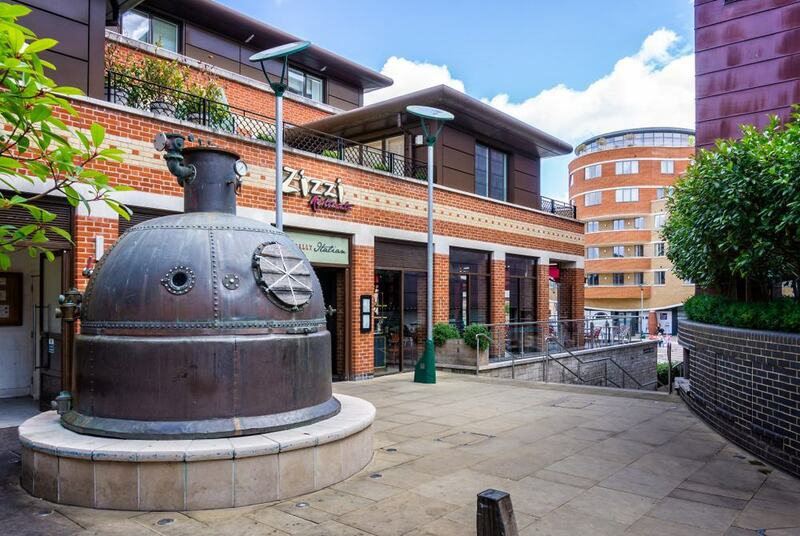 There are dining choices for everyone at Brewery Square at national chains like Nando’s, Wagamama, Zizzi, Pizza Express and Carluccio’s. The landscape and president of the Kew Guild, William Goldring designed the genteel Borough Gardens in the 1890s. Just over a century later this park was given a £1.4m update with a grant from the Heritage Lottery Fund. Oscar-winning screenwriter and Tory peer Julian Fellowes conducted the grand re-opening in 2007. 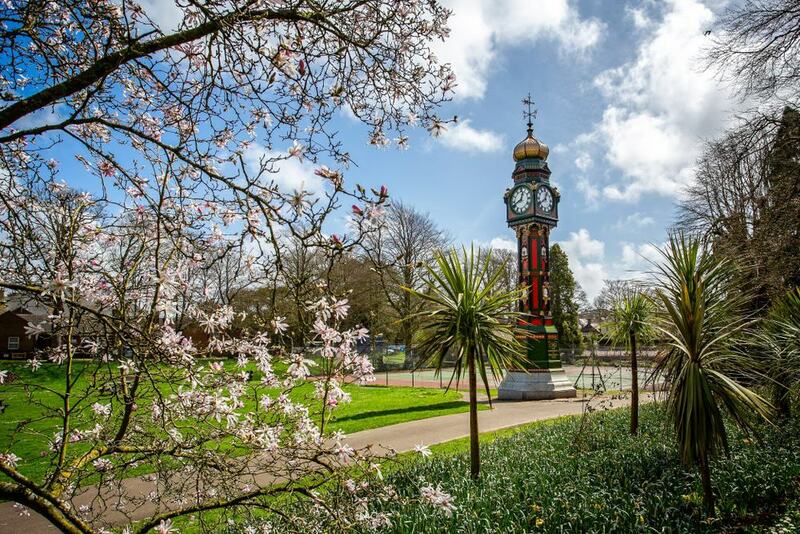 As well as new facilities like a refreshment kiosk, outdoor gym, children’s play area and relaid tennis courts, there are lovely bits of history here and there. See the Victorian iron bandstand, which is as old as the park and has concerts on summer weekends. The Edwardian Baroque clock tower is from 1905, while the Tirah Memorial (1899) is for members of the 1st Battalion Dorset Regiment killed in the Tirah campaign in northwest India (now Pakistan) in 1897-1898. Durnovaria’s amphitheatre was actually adapted from a much older Neolithic structure that has had a role in Dorchester life for millennia. This circular earthwork henge, 85 metres across is up to 5,000 years old. Originally it was much higher before being reworked by the Romans, who added chambers and built seating terraces. Some of the site’s grisliest history is more recent. In the Civil War this was an artillery fort and at the turn of the 18th century there were numerous executions here: Eighty members of the Monmouth Rebellion were killed in 1685, as was Mary Channing, a woman convicted of poisoning her husband. The event partly inspired Hardy’s poem, the Mock Wife. Maumbury Rings is still a meeting place for Dorchester, hosting concerts, historical re-enactments and festivals. On the west side of town, into the Dorset Area of Outstanding Natural Beauty, Poundbury is like nothing you’ve seen before. The brainchild of Prince Charles, this is an urban development both innovative and old-fashioned at the same time. Home to 3,000 people, Poundbury was started in the early 1990s and is growing by the year and expected to house 6,000 by 2025. 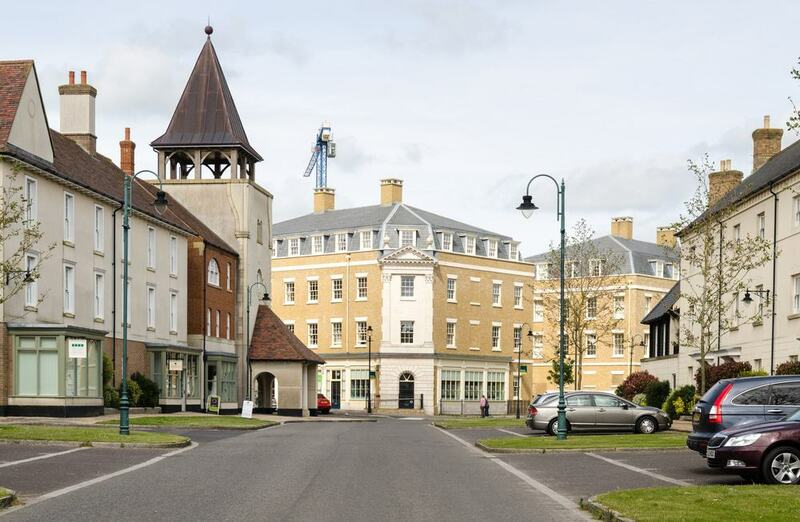 Charles has always been a critic of the concrete style and suburban format of the UK’s post-war “New Towns”, and Poundbury blends traditional architecture with a sociable old town centre layout. There are quaint gabled cottages, Georgian-style flat-fronted townhouses and a Baroque butter cross. There’s no zoning, so businesses mix with housing, and Poundbury has been drawn up to allow people to walk rather than use their cars. Shortly after Dorset County Council acquired Colliton Park in Dorchester an archaeological survey came across a rare Roman discovery. 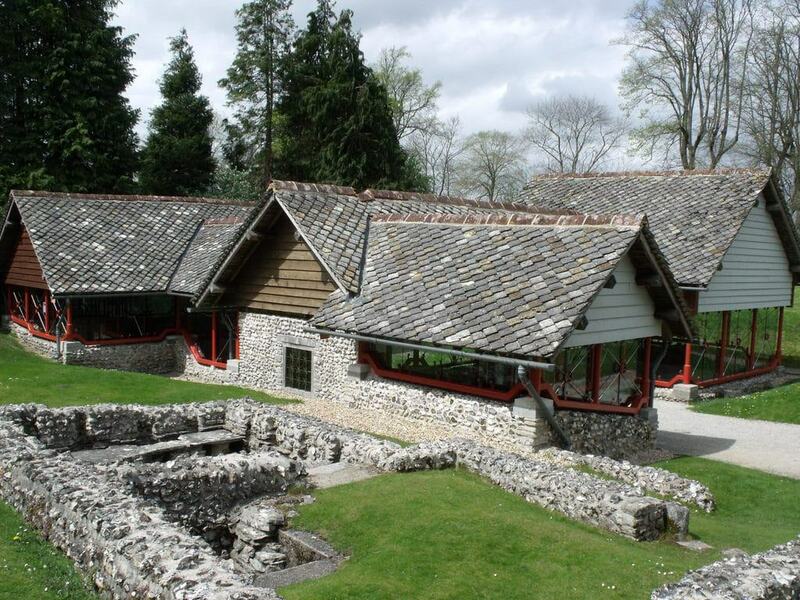 Constructed at the start of the 4th century, this is the only Roman town house to be found on British soil. There are 18th rooms in all across two sections, labelled as a South and West Range. The West Range is particularly well preserved, with a set of mosaics that can be seen beneath glass and steel platforms that were built in the 1990s. There’s also a Doric column, two detailed hypocausts, a well and helpful information boards bringing the site to life. In a rambling green landscape, the formal gardens at this country estate have been remodelled twice over the last 300 years. The framework is from the 1720s, the same period as Kingston Maurward’s splendid Palladian mansion, and is in the style of Capability Brown. There were Victorian alterations in the 19th century, while a lot of what you’ll see was laid out between 1915 and 1922. The garden is very ordered, sitting on north-south and east-west axes. On the former is the Red Garden, Mediterranean Garden and Double Herbaceous, while east to west are the Brick Garden, Terrace Border, leading to the south facade of the house. Tucked alongside are lots of little spaces, enclosed by hedges and known as rooms. 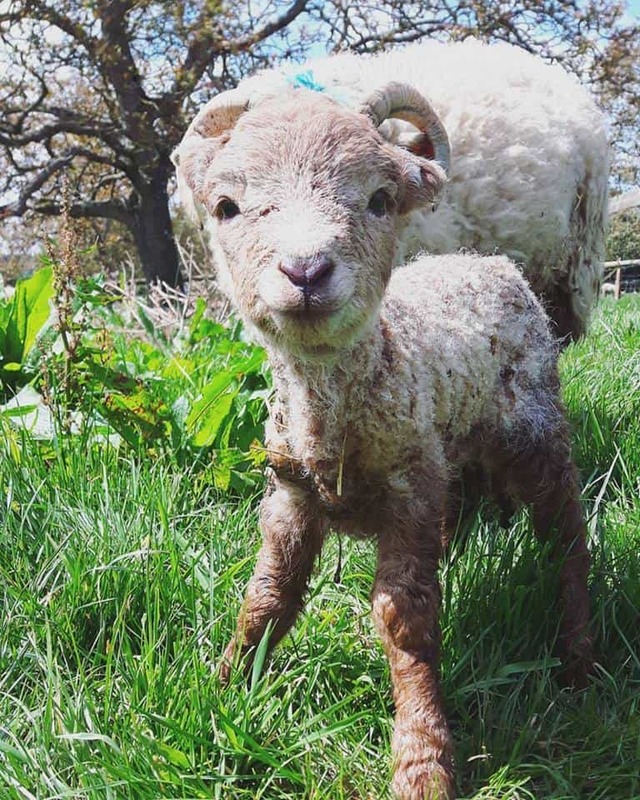 If this sounds all a little too sedate for kids they’ll love the animal park, which has sheep, saddleback pigs, goats, miniature Shetland ponies, alpacas and proud silver seabright bantams. In the grim days before unions and the welfare state there were friendly societies, secret labour organisations working to improve working conditions and pay for sick days and funerals. These had been partly outlawed by the Combination Acts of the 1820s, which is how in 1833 six labourers in the nearby village of Tolpuddle came to be arrested, convicted and shipped off to Australia, then a penal colony. Their story caused a public outcry and a petition for their return gained 800,000 signatures. By 1839 all six were back on these shores. The museum in Tolpuddle delves into their arrest, deportation and return, and also studies their influence on trade unionism in the UK.